Designed for slightly more confident kids than the Fraggle, Edelrid's Fin II harness is perfect for young and aspiring climbers. The waist-belt has two buckles so the tie-in loop can always be optimally centred, while the Easy Glider buckles are easy and quick to adjust, not to mention super-safe. Bottom line, the Fin II is ideal for kids who want to explore the rock and start to climb more independently. A new version of the Edelrid Finn II is now available, check out the Edelrid Finn III HERE. The Edelrid Finn II (Kids) harness has demonstrated an excellent purchase. 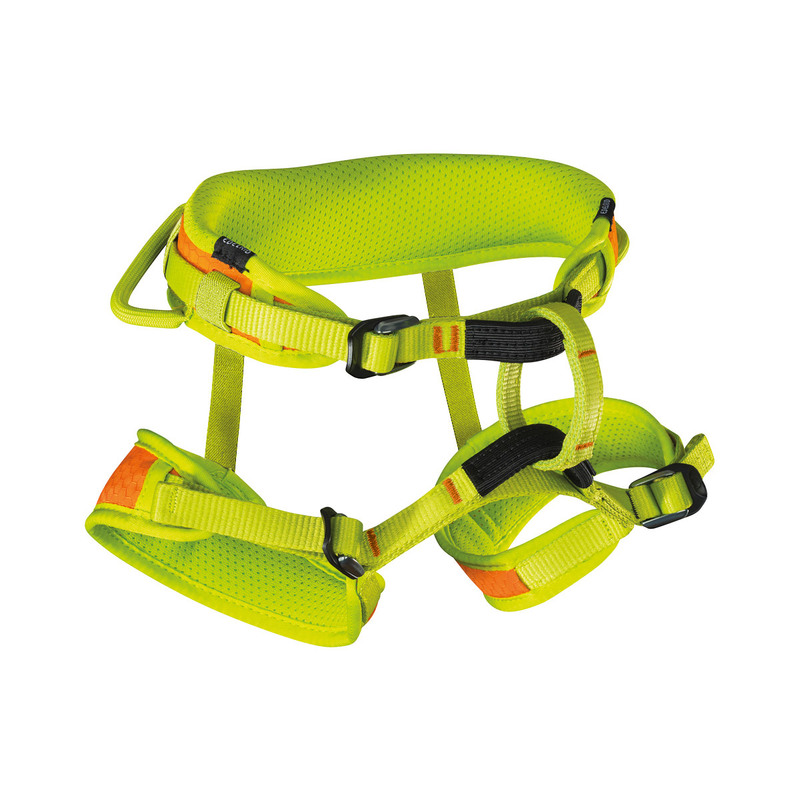 I made this purchase for my 5 year old son so he had his waist harness and thus his integral harness is released, I am very satisfied with the purchase because it adapts in an excellent way to the body, common optimum assemblage.